Fire departments and HAZMAT teams responded to a "chemical explosion involving chlorine" just before 2:00 this afternoon at GM's Marion Stamping Plant. 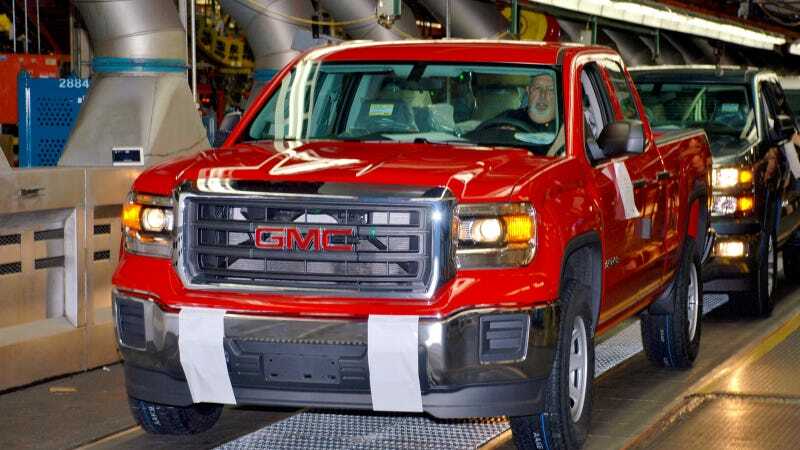 One GM worker died and several others were injured in the incident. WTHRand others report a 48-year-old contract employee named James L. Gibson succumbed to injuries from the explosion at a hospital just before 3:00 PM, but accounts are conflicting about how many people were injured. Business Insider and Bloomberg say eight were hurt, WTHR and USA Today claim five. Marion Fire Chief Paul David confirmed to WTHR that the explosion "involved a chlorine dioxide tank" and that rescuers performed gross decontamination (to a large group of individuals), but nobody seems to know what caused the incident. GM spokesperson Stephanie Jentgen said "the situation is contained" and that "everybody has been evacuated," to the Associated Press while another spokesperson Bill Grotz announced that an internal investigation had begun. An autopsy on the deceased Mr. Gibson is slated to take place tomorrow. The Marion Stamping Plant shapes sheet metal for GM trucks, SUVs, and cars, employing over 1,600 people.